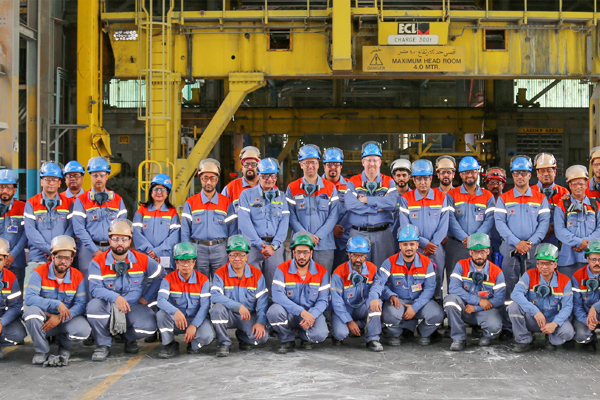 Aluminium Bahrain (Alba), on the go to become the world’s largest smelter, has announced that it has successfully closed the final instalment of the second tranche with respect to the financing of its Line 6 Expansion Project, consisting of $136 million and €90 million ($102.2 million) from Export Credit Agency (ECA) supported-facilities by the end of 2018. The proceeds from the ECA direct and guaranteed loans will be used to finance the provision of equipment in relation to Alba’s Line 6 Expansion Project, said a statement from Alba. The facilities are made-up of $136 million Export Development Canada (EDC) supported-facility with a 10-year tenor wherein the principal amount is to be repaid over a 10-year period; and €90 million Japan Bank for International Co-operation (JBIC)/Nippon Export and Investment Insurance (Nexi) supported-facilities comprising two contract loans, the first of which has a tenor of 10-year and a principal repayment period of 9.5 years, and the second contract loan having a tenor of 6 years with the principal amount to be repaid over a 5.5-year period. Commenting on the milestone, Alba’s Chairman of Board of Directors, Shaikh Daij Bin Salman Bin Daij Al Khalifa said: "This is another concrete highlight for us and a step closer towards transforming our vision into reality with the safe start-up of Line 6." "We are also truly thankful to receive further support from our banking partners in the ECA supported-facilities," he added. The mandated lead arranger for the EDC covered-facility is Citibank (Canada Branch), and Citibank also acted as the facility agent for the EDC covered-facility. With respect to the JBIC/NEXI supported-facilities, the mandated lead arranger was BNP Paribas (Tokyo), and BNP Paribas also acted as the facility agent for the JBIC/NEXI supported facilities, said the statement from Alba.